It's clear to me that large corporations often beat entrepreneurs who compete for the same customers because the large companies can afford to create special programs with superior customer service. Uber is an example of a company with great angel investment that bests its competition on price, availability and reliability but how can you do the same for your customers? Kill 'em with kindness, that's how. Here are a few things entrepreneurs can do to provide 'kill 'em with kindness' customer service. Nothing is more touching than receiving a handwritten note. If your handwriting is bad get a card printed. Send a personal note to your customer and they will appreciate the time and effort you took to reach out to them specifically. 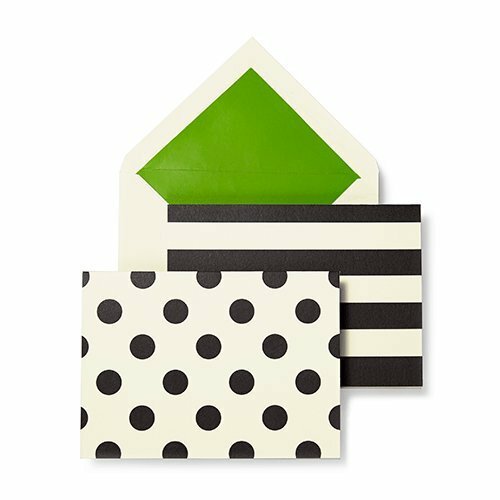 Take this opportunity to use that adorable Kate Spade stationery you have been saving. 2. Deliver your work in person. With all of the convenience websites and applications give to entrepreneurs it's easy to conduct all of your business operations online. Using the 'old school' method of doing things in person will set you apart from your competitors. Deliver your product or service directly to your customer, in person, when you can. Invite your customer to a chat and deliver your work over coffee, conduct a workshop to a small group of your clients or visit your potential customer at her office or store to conduct business on her turf. I am the first to admit that doing business in person is tiring. Meeting clients in person while getting your work done is exhausting when you're an entrepreneur. Quality over quantity is the key to your success with this technique. Pick and choose the events, meetings and hangouts to attend with the most impact for your customer. Do what your customer cares about and your customer will care about you. 3. Under promise over deliver. Surprises are only good when they are positive. Pleasantly surprise your customer by going above and beyond your commitments. Does your product do one thing really well? Build in an extra benefit that you do not promote. Give your customers a pleasant surprise. Ever heard of McDonald's secret menu? Try the Monster Mac. Stay informed about all aspects of your industry. It may seem obvious but customers will be impressed when you can provide information and advice current to your industry. Sometimes, we get comfortable in what we do and do it well. But you are not only providing a product when you sell clothing you are selling the service of making people look and feel great! Listen to podcasts, follow blogs, have coffee with people in your area, become an expert your customers are confident to trust. Answering phone calls, responding to email, replying to social media posts, continuing the conversation with your customers wherever they are is essential to making them feel heard. When your customers feel heard they feel important to you and that is ultimately what you want to communicate. So respond to the tweet, answer the Facebook message, return that phone call as soon as possible and send updates on your project by email. Your customer will appreciate the communication and you will have accomplished your ultimate goal of ensuring your client knows just how much they mean to you.